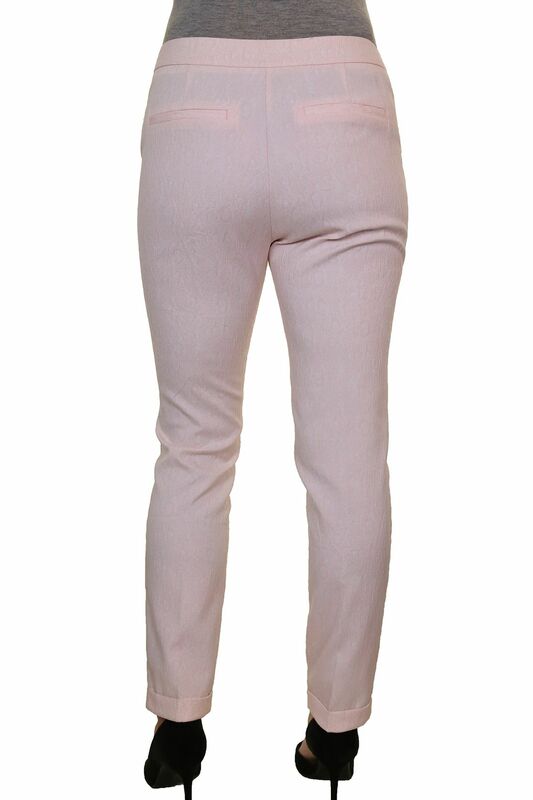 You are looking at a pair of ankle length tapered leg trousers, with a cuffed bottom. The fabric is very slightly stretchy, and has a raised embossed shaded effect. The front and back has 'mock' slit pockets (not real, just for detail). 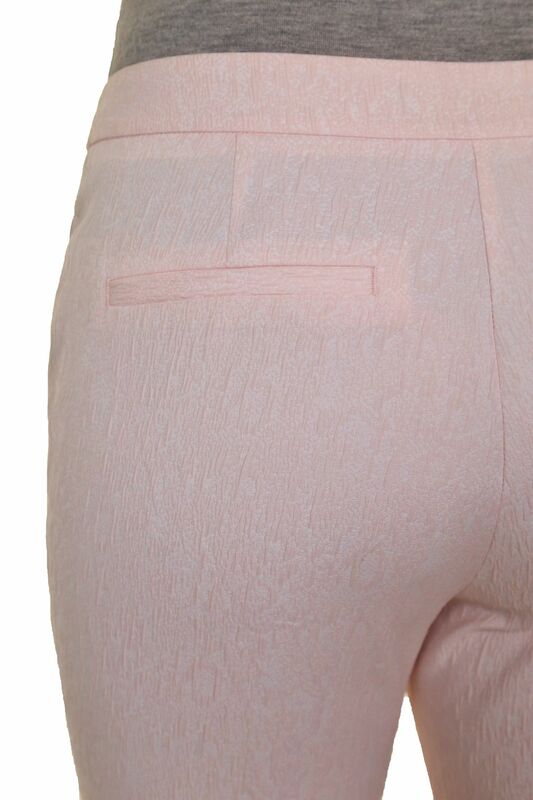 These are a zip fly, and has a concealed button and a hook and bar at the waistband. They are tight fit on the hips. These are a mid rise so the waist measurement is as they sit on the lower waist.